Need for Speed: Most Wanted (commonly abbreviated to as NFS: MW) is a racing video game developed by EA Black Box and published by Electronic Arts. It is the tenth installment in the Need for Speed series. The game features street racing-oriented game play, with certain customization options from the Need for Speed: Underground series. The game is succeeded by Need for Speed: Carbon, which serves as a sequel to Most Wanted, and later Need for Speed: World, which features both the cities of Rockport and Palmont, making that game a successor to both Most Wanted and Carbon. Most Wanted has been released for Game Boy Advance, Microsoft Windows, Nintendo DS, Nintendo GameCube, PlayStation 2, Xbox, Xbox 360 and mobile phones. 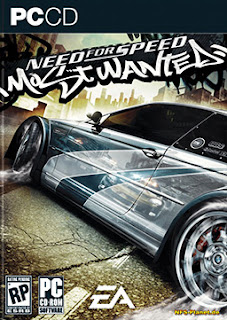 Another version of Most Wanted, titled Need for Speed: Most Wanted: 5–1–0 has been released for the PlayStation Portable. It is the first game in the Need for Speed series to be rated T by the ESRB. Three distinct regions are offered in the city of Rockport, along with cycling weather. Racing events take place between sunrise and sunset, unlike in the Underground where the events took place at night. A Grand Theft Auto-like Free Roam mode is provided as in Need for Speed: Underground 2, but is still limited to Career mode, as well as pursuit-based events in other modes. Brand promotion from Underground 2 still continues strongly, with the removal of Best Buy, Old Spice and the entry of Burger King restaurants, Castrol oil, Axe Unlimited and Edge shaving gel. The Cingular logo is still visible in the game's wireless communication system. Performance, body and visual parts that can be bought in the game are also from real life companies. No response yet to "Need For Speed : Most Wanted"